Christopher William Royer was born in Wiesbaden, Germany and grew up in a military family, moving frequently. He graduated from the College of William and Mary in 1986, and received his law degree from the University of Richmond in 1989. After graduating from law school, Chris practiced criminal law at the trial and appellate level as an active duty Army Judge Advocate in Korea, Germany and Virginia. In 1997, he left active duty and moved to South Florida. 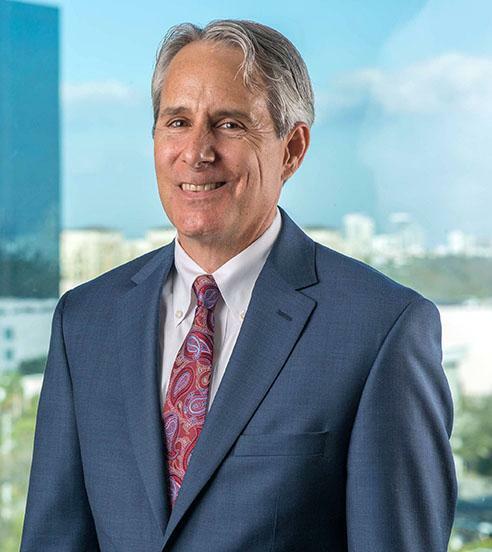 After many years as an insurance defense litigator primarily defending medical providers and law enforcement officers, he became an associate lawyer with Krupnick Campbell in 2013. In 2017 he became a partner at the Firm. While practicing in Florida, Chris continued to serve in the military as an Army Reservist and was deployed in support of Operations Iraqi Freedom and Enduring Freedom in 2003, 2005-2006, 2007-2008 and 2012. He retired from the military in 2013 as a Colonel. Chris has extensive expertise in cases involving products liability, medical malpractice, motor vehicle, fall downs, military matters and other complex civil litigation and damages cases. In 2016 Chris was asked to represent the families of two young men killed while boating with Miami Marlins All-Star pitcher Jose Fernandez. The matter settled against the Estate of Mr. Fernandez in 2018. Chris is admitted to practice before all Virginia and Florida state courts, the United States District Court for the Southern District of Florida, The Army Court of Criminal Appeals, The Court of Appeals for the Armed Forces, and the U.S. Supreme Court.